Mr Breakfast is a nationally recognized expert on breakfast. 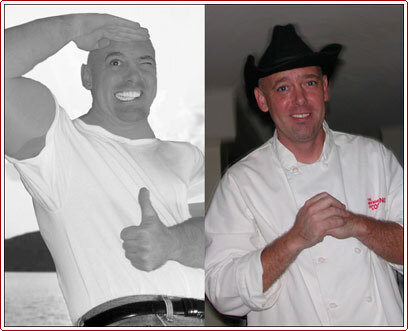 The Clark Kent to Mr Breakfast's Superman is Eddy Chavey, an accomplished author and a graduate of the Los Angeles New School Of Cooking. His Mission: (1) To instill the importance of eating breakfast; (2) to show how multi-facited and fantastic the most important meal of the day can be and (3) to help provide breakfast to those in need through the promotion of school breakfast programs and food charities via The Breakfast Of Love Miracle Network. Appeared on the Food Network's "The Secret Life Of... Cereal" and "The Secret Life Of... Breakfast"
Appeared on the Discovery Channel's "Cereal: Beyond the Bowl"
As Eddy Chavey, written works in: Biker Magazine, National Lampoon Magazine and The Investor's Business Daily Newspaper. Mr Breakfast is currently compiling "The Big Book Of Breakfast" and a series of cookbooks devoted to a number of morning favorites.